Sharon Daniel is a media artist who engages in the production of interactive and participatory documentaries focused on social, economic and environmental injustice and criminal justice systems. Sharon is returning to i-Docs this year to talk about her work-in-progress and the ethics of co-creation – find out more here! In her presentation, she adressed issues of advocacy related to NGO, activist, human rights i-docs. One of the most enlightening and inspiring parts of her presentation were certainly the inights into the development process, the structure and dealing with ‘content’ in the interactive documentary Inside the Distance, which is the result of her two-year research collaboration with the Belgian Mediation Service Suggonome, Leuven Institute of Criminology (LINC @ KULeuven), and STUK Kunstcentrum. Inside the Distance, documents victim/offender mediation in Belgium, where Restorative Justice is institutionalized within the criminal justice system. The project focuses on the subject positions of victim/offender/mediator (and the notion that those subject positions are fluid) and advocates for mediation as an alternative to dominant modes and theories of retributive justice and punishment. Mediation is, in a very literal sense the object of study in Inside the Distance – but the idea of mediation is also a “boundary object” that helps me to grapple with questions of ethics and activism. In his “Affectivist Manifesto” Brian Holmes writes that “Activism has to confront real obstacles” but the role of an artwork lies in its potential to increase an understanding of the possibility of change through expression that “unleashes” affect. 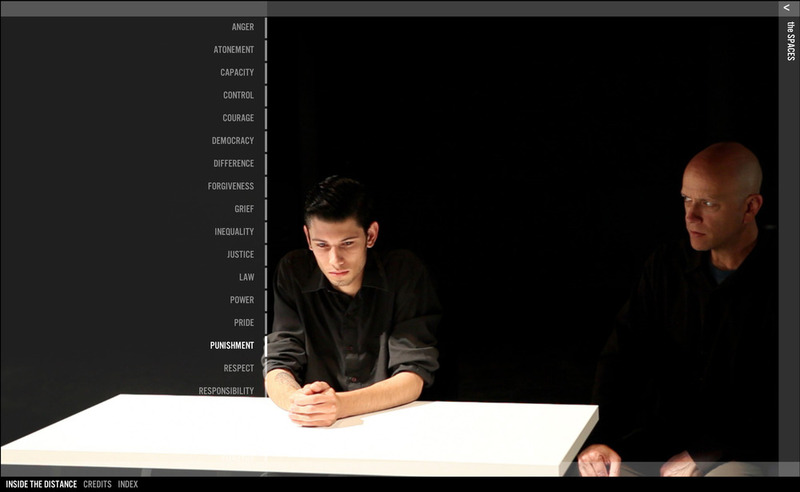 I have viewed my work in interactive documentary as a form of resistance, critique, opposition and activism. But I have long held in somewhat uncomfortable tension my position as a prison abolitionist with my sense of practical ethics – the question of how resistance in a pure, theoretical and political framework can improve the material realities of those who are oppressed by our criminal justices system now. A Mediation between affect and action helps me hold these competing desires – not in balance but in tandem. In this presentation I will analyze Inside the Distance as an example of both affectivist and activist practice – one that I hope will function as a boundary object that can mediate across conflicting and unequal relations of power and unstable subject positions. 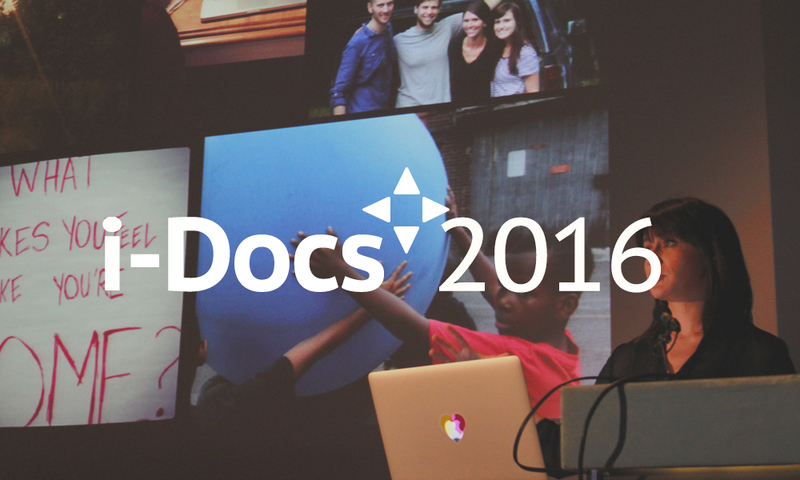 In the lead up to i-Docs 2016, we’ll be posting a series of presentations from the last symposium which focused on Production Models, Engagement &amp; Evaluation and New Territories within the field of interactive documentary. Sharon Daniel: Affectivism and Activism at i-Docs 2014 from DCRC on Vimeo.